According to Calciomercato, Manchester United could sign Lazio midfielder Sergej Milinkovic-Savic if Paul Pogba leaves the club. Milinkovic-Savic had been linked with the Red Devils all summer as manager Jose Mourinho was looking to sign a midfield replacement for Michael Carrick. Marouane Fellaini’s future was uncertain too, but the Serbian international might now only be a direct replacement for Pogba. The box-to-box midfielder re-joined United from Juventus in 2016 and has struggled for consistency. He’s been a regular under Mourinho, making 88 appearances in all competitions in the last two seasons, but his future has been uncertain this summer. Pogba had a fallout with Mourinho in 2017/18 and has been linked with a move to Real Madrid and Juventus, so United are preparing themselves should the 25-year-old depart Old Trafford for a second time. 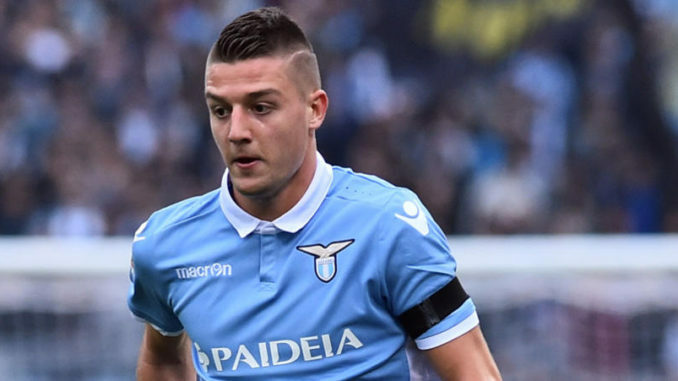 Milinkovic-Savic would be a good option to replace the French international but he wouldn’t come cheap. The Lazio man, who has made 122 appearances in all competitions for the Serie A side, has a £90m asking price and nearly joined United earlier in the summer before the deal broke down. Nevertheless, Mourinho has retained an interest and could make an official bid before the transfer window closes in just over three weeks. Losing Pogba to have Milinkovic-Savic is not an improvement; it’s simply an exchange. If United want to improve, they need both. Would Xavi have been as good if he didn’t have Iniesta or vice-versa? If you want an impressive midfield, you don’t just fill it with one star. Fully agree we need both then we may start to dominate mid field and other teams. United still need quality in many areas of the pitch and it is no replacing one for another but to have both. Pogba and Savic could quite easily play together and offer a different dimension to United. Looking to spend big Mourinho and Woodward sees only Bale, no ambition there then. I would be bombarding Pogba with emails to tap up Mbappe. Now that would bring the dream back to the theatre instead of the snooze fest Mourinho serves up. The two players can play together off cause. I think its high time mourinho for strengthening order areas, like bringing in player like Lozano, verane and Lamar from Monaco. i think selling pogba is not the essue but people that are supposed to leave man u is jones darmian blind and lindelof even rashford, rashford is one of the most greedy player in the world and jones since man u buy that player everythings about him is a errow and injury so what kind of player is that?